GoParrot works with the most forward-thinking restaurant brands to build the future of food ordering, with best-in-class online ordering and an artificial intelligence marketing and loyalty platform. GoParrot helps restaurant groups grow revenue, improve customer satisfaction, and reduce 3rd-party marketplace fees by offering a world-class online ordering platform. GoParrot’s loyalty and marketing Artificial Intelligence platform maximizes restaurant sales by gathering nuanced data on customer tastes and ordering preferences. The platform then utilizes this data to automatically send personalized promotions and recommendations to customers. The GoParrot platform easily integrates with leading POS providers, payment processors, and delivery platforms. Getting up and running with GoParrot is quick, easy, and affordable, especially with our preferred partners Square and Toast. GoParrot helps restaurant brands build long-lasting relationships with their customers. "GoParrot is our favorite new partner due to their innovative product lineup of online ordering and integrated CRM marketing tools. GoParrot is the restaurant industry's long-awaited answer to the rising costs of 3rd party ordering apps." Learn how Westville has improved their takeout and delivery business using GoParrot. 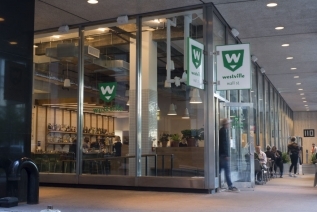 Westville is a casual American restaurant with 6 locations in New York. With a bustling takeout, delivery and catering business, they were frustrated by paying large margins to third party companies and wanted to better understand their customers' habits and preferences to improve loyalty and drive business. 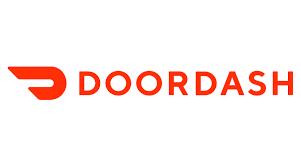 They partnered with GoParrot to redesign their entire takeout and delivery experience from the operational dashboard to the front end mobile and web experience, creating a seamless platform for team members and guests alike. GoParrot drives repeat business by automatically segmenting customers into three distinct categories--regulars, repeat customers, and one-time visitors, creating personalized marketing campaigns for each. Westville has seen meaningful results including time saved for their team, incremental revenue and more ways to engage with customers than ever before. "We are extremely impressed by the positive impact of GoParrot on increasing our takeout and delivery business. The revenue and profit impact since we started working with GoParrot is significant. The implementation process was fast, easy, and pretty much hands-off." online ordering we are proud to power! Inquire today to see if you qualify for 50% off your 1st Month! GoParrot's mission is to create long lasting relationships between restaurants and their customers. Let us show you what we can do for your business.